New Super Mario Bros. U Deluxe is available now for Nintendo Switch! Watch this video to learn more about the other modes you can play in this game, in addition to the two story modes. New Super Mario Bros. U Deluxe is available now for Nintendo Switch! Watch this video to learn more about this game’s playable characters. New Super Mario Bros. U Deluxe is available now for Nintendo Switch! Watch this video to learn more about this game’s second story mode, New Super Luigi U, which is harder and faster than the regular story mode. New Super Mario Bros. U Deluxe is available now for Nintendo Switch! Watch this video to learn more about the places, power-ups, and pals you’ll encounter in this game. New Super Mario Bros. U Deluxe is available now for Nintendo Switch! Watch this video to learn more about how this title includes two games in one, for double the fun. 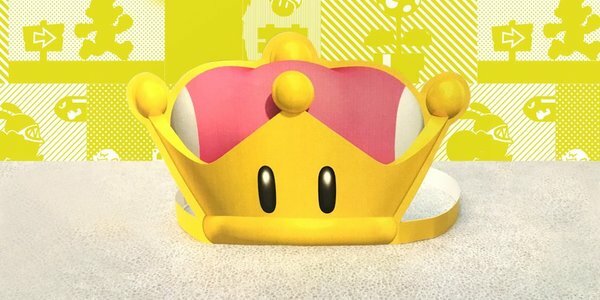 Want to wear your very own Super Crown from New Super Mario Bros. U Deluxe? You're in luck, as Play Nintendo has put up a Super Crown papercraft for free! Print it out and follow the instructions to be the belle of the ball! 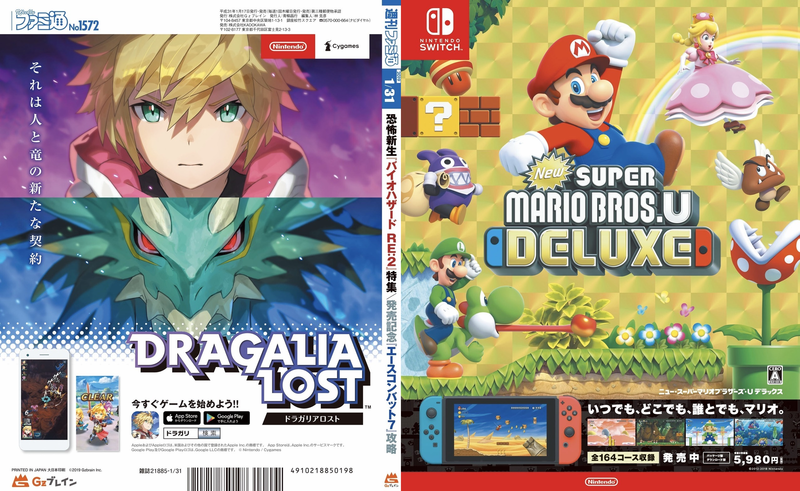 Two more Nintendo-related print ads popped up in the latest issue of Famitsu. We get another advert for the mobile game Dragalia Lost, and a non holiday-themed spot for New Super Mario Bros. U Deluxe. Seems like these promotional efforts really work well in Japan, as both titles are doing quite well!